Everything that you need in the same place. How can we help you today? Please note that FREE consultation is only applicable when meeting within our office premises. On-site consultation will be charged at S$60 per visit. Be sure to contact our sales team for making a consultation appointment in advance. Busniess and Elite site packages are optimized for mobile & tablet devices. We will provide you with a list of plugins we could install and configure. We will create your sitemap and set up your Google Analytics in your Google account and link it to your site. We’ll create a custom logo and header based on your specifications, colors and instructions. Once you’ve selected your logo and header we will create different website mockups for you. Your Content Added: We will input 1-5 pages of content depending the contracted package. We will create custom social media icons that match your brand and design. We will add and format all the provided content in your site (up to 20 pages). We will create custom graphics for you Facebook Page Timeline. We have a few different options and will work with you to select the best solution. We will design and code a landing page for our custom packages. We will work out to improve your On-Site SEO. Sure, simply click in the Contact Us link and fill out the form and we will work out your requirements. HOW MUCH TIME DO YOU NEED TO DESIGN MY WEBSITE? This vary on each project, contact us and we will give you a approximated time frame. DO YOU OFFER TEMPLATE CUSTOMIZATION FOR WORDPRESS OR ANY OTHER CMS? Sure, simply contact us for a quote. SHOULD I HAVE TO PAY IN ADVANCE? 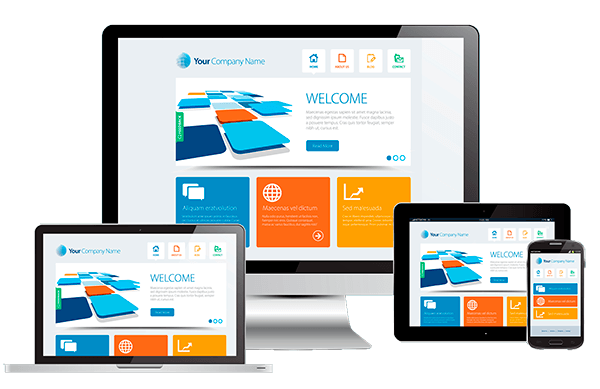 For Web Design and Development, we require 50% upfront payment to start working in your project and the other 50% before we deliver the complete work. For Logo or Landing Pages Design we require an upfront payment. DO YOU DO OTHER GRAPHIC DESIGN WORKS? Yes, we do any graphic design work, like banners, logos, landing pages, brochures, personal cards, corporate kits, web design, book covers, PSD web design, PSD to HTML conversion, PSD to WordPress conversion, etc. Simply contact us with the details and we will give you a quote. We do not have a refund policy for design or developments as we can’t recover the time invested while we are designing or working in your project, but if you decide to stop the work at any time we will charge you for the job done and refund you the rest. DO YOU DO E-COMMERCE WEBSITE OR MAGENTO DEVELOPMENT? Yes, simply contact us for a quote. HOW MANY MOCKUPS AND REVISIONS DO YOU PROVIDE FOR YOUR DESIGNS? Depending the selected plan can be between 1 to 3. We assure you will have a hard time selecting one of them as happen with most of the clients, cause all of mockups will be amazing. DO YOU DO PROGRAMMING AND CODING? Yes, we do any programming job base in in PHP, like web site coding correction, WordPress coding and corrections, plugins for WordPress, e-commerce developing and coding, php website correction and development, etc. If you have any question simply contact us and we will be in touch. WHY SHOULD I HIRE YOU FOR MY WEBSITE DESIGN OR DEVELOPMENT? For more than 10 years we are delivering quality and we are a reliable and friendly company, 90% of our clients are recommended by others mouth to mouth, that speak itself about our work philosophy. We look for the client satisfaction over everything providing a high quality products and services. For over 10 years, we provide premium quality web hosting services in a personalized manner, with 24/7 support and direct contact with each of our customers, based on our dedication, sincerity and transparency we ensure the growth and success of your project.